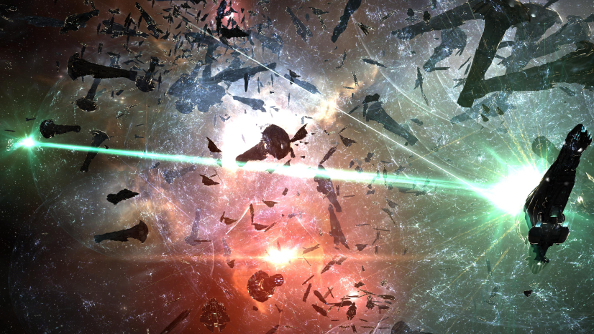 CCP revealed that the Eve Online community in China is being held in separate servers from the rest of the world while they look for a ‘legal opportunity’ to unite them. To scratch that exploration itch, here are the best space games on PC. The question over whether, or when, China would be able to play with the servers in the West was answered by developers CCP_Fozzie and Steven Clark at a panel during Eve Fanfest yesterday. “At this point all we have is dreams,” said Fozzie after a Chinese fan asked when the company planned to unite the servers in a way that had been suggested during the previous day’s keynote speech. Many developers of multiplayer titles that want to enter the Chinese market do so through an East-Asian publisher, such as Tencent or Nexon. These publishers often have rules regarding the access of servers outside of China dictated by national law. “This dream is something that is hard to have happen, and we absolutely share that,” said fellow designer Steven Clark. “I think we would jump first time there is an opportunity for us to make that connection.